The drive down Tchernichovsky Street did not seem unusual at first. 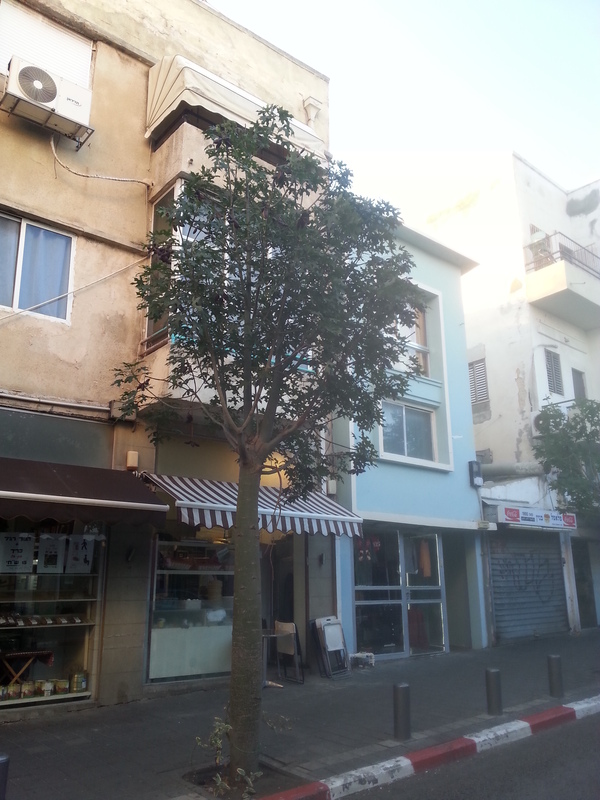 The street is narrow and congested much like many streets in Tel Aviv. Unable to find a parking spot, I leave the keys in the ignition, tell my wife to move the car if a cop shows up, and then walk the rest of the way to my destination: building no. 4. It was at that moment that I felt as if someone had hit me over the head with a hammer. I stare at the two-story building, trying to figure out why it appears familiar. Then I notice several eateries, restaurants, a coffee shop on the ground level. I proceed robotically to the one clothing store, recalling the instructions of the on-line hotel reservations. Inside the store, young women are trying out winter coats. The woman proprietor approaches me. “You’re Nelly?” I say, in English. I nod and run to the car, my mind racing in all directions. What is it about the place? Minutes later, my wife and my twin daughters carry our bags to the clothing store. Nelly’s husband appears. “Come, it’s this way,” he says, and points the way to a reinforced glass door. He leads the way up the stairs. We follow. Going up the steps I feel as if I am part of Hitchcock’s ‘Vertigo’ film, the narrow steps twisting in the well. I remember going up these same steps before. But when? I’m standing in the very place I had worked at almost 40 years ago. 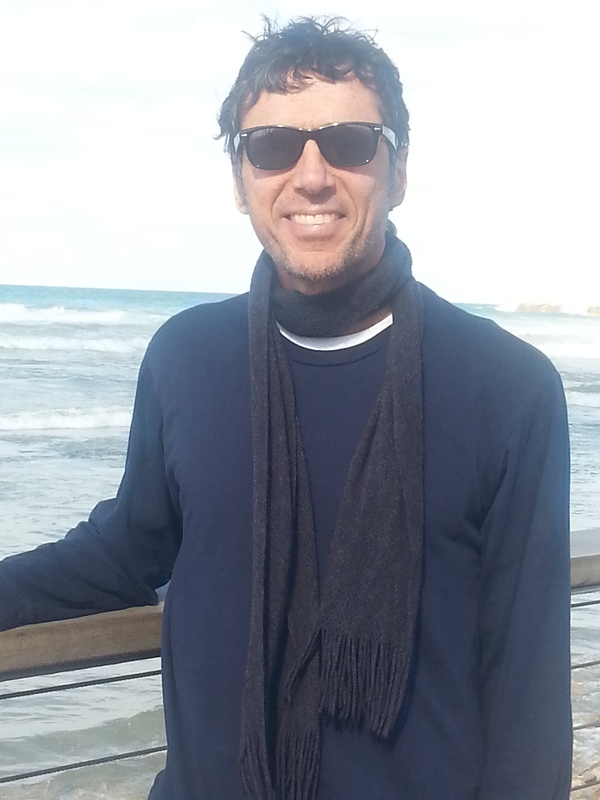 Fresh out of the University of Tel Aviv in 1977, I interviewed with Kopel Tours. It was one of the largest tour operators in Israel. Kopel booked airline tickets and vacation packages by the thousands. 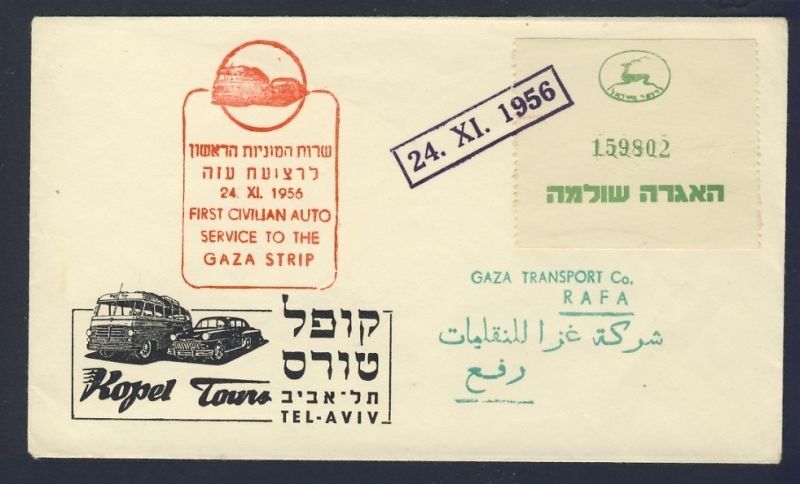 During the mid-1950s they started taxi service from Tel Aviv to the Gaza Strip, at a time when Gaza was not controlled by Egypt. I return to the large windows. I worked in this very spot for about a year. My role was to handle incoming tourism from the United States, predominantly rich Jews from New York. Back then, first thing in the morning, I checked the Telex. It was like working in a War Room. I fed the hole-punched yellow tape through the machine and within seconds the overseas message materialized on paper. Most messages went something like this: “Mr. 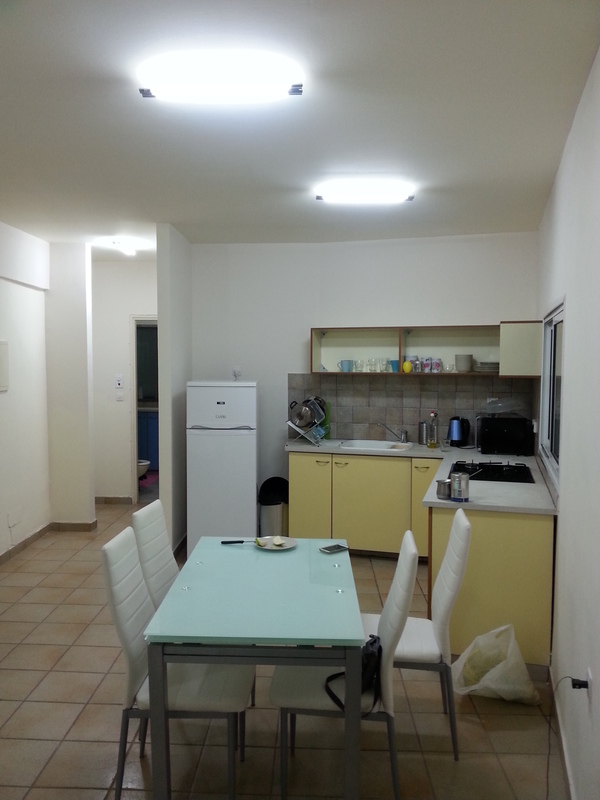 and Mrs. Goldberg, Brooklyn, reserve a private guide with American car, 2 nights in Tel Aviv, 5 star hotel, followed by 4 nights in Jerusalem at the King David Hotel, plus 2 nights in Galilee at a Kibbutz Guest House. Quote and confirm.” I immediately went to work, calling hotels, airlines, and car rental companies. By the end of the day I confirmed all by Telex to Kopel headquarters in New York. There were times I greeted the American guests at Tel Aviv airport, escorted them to hotels, to functions about town. Mr. Kopel, a Polish immigrant, spent most days in New York. He dropped by my Tel Aviv office a couple of times. He was a big man, wore drab, gray suits two-sizes too large, just in case he decided to grow into them. My immediate boss was Mr. Pavel, the Sales Manager for North America. Pavel was handsome, a jet-setter of the 1970s. When in the office, he used to throw his Texan boots on his desk, hold the phone to his ear, talking long-distance to America, in English with an Israeli accent marinated in Czech. He travelled to the Bible Belt, called on churches in Atlanta and Houston, told evangelists about Nazareth and Bethlehem, signed them up on the dotted line. I drink water from the kitchen faucet, still dazed from my travel inside the Time Machine. The smell of falafel and Hanukkah jelly donuts wafts through the open windows. The one thing that doesn’t change is change. I’ve recently started taking classes at Haifa University. In the beginning I endured the 80 mile (120 km) roundtrip drive, twice a week, back and forth, back and forth. I even put up with the endless search for parking. But after the first month, it got old; it also made my car old. And at $7.00 per gallon, it made my pocket poor. So I explored public transportation, instead. Kfar Tavor, my hometown in Galilee, is the Capital of No Where. It’s close to only one thing — itself. Which means you have to get creative to get around. At first, I tried the obvious–Egged Bus Lines. 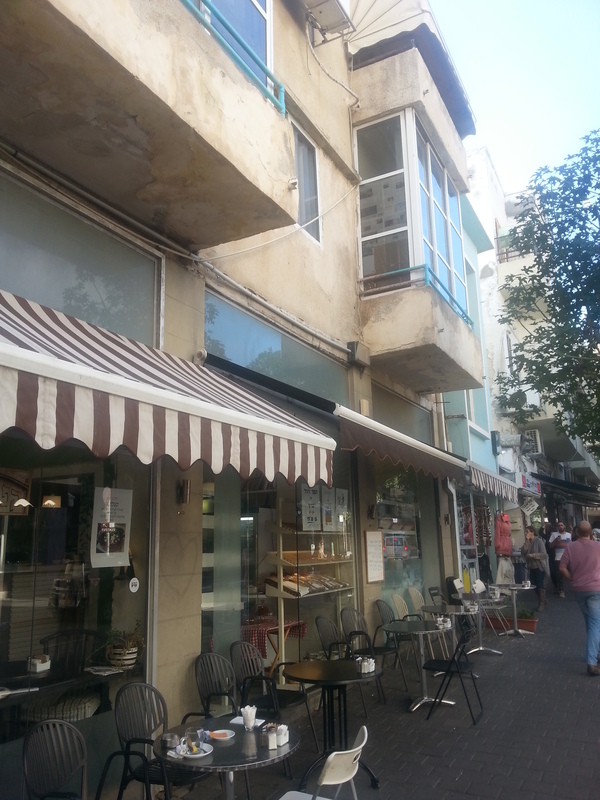 Egged brings back childhood memories to all Israelis. The buses have been crisscrossing Israel for decades. They’re part of the culture, like the American Greyhound buses, only better. The trip to Haifa involved taking 3 buses, each way. I tried it for a week. I gave up. Getting off the buses, my body continued to twitch and jerk. In time, I got to know every station, every turn, every bump in the road, even recognized the drivers behind their Ray-Ban sun-glasses. So I gave up on the Jews and joined the Arabs. It turns out more than half the student body at Haifa university is Arab. The University draws Arab students from all over Galilee, and beyond. On campus I hear more Arabic than I do Hebrew; my university desk mates answer to Mohamed and Aziza more often than they do to Moshe and Dina; I see more women’s faces covered and less legs uncovered. Talk about making an adjustment. 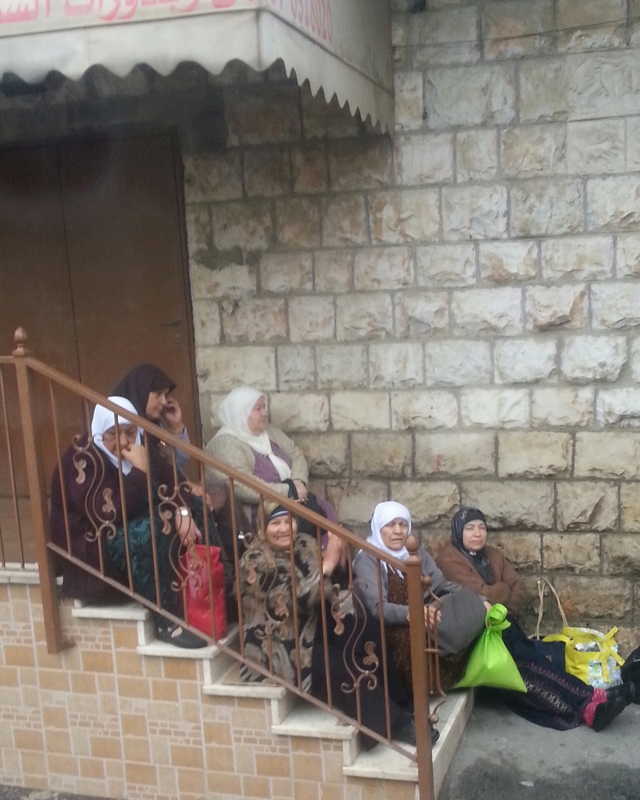 The privately owned Arab bus line makes its rounds through Arab villages only. 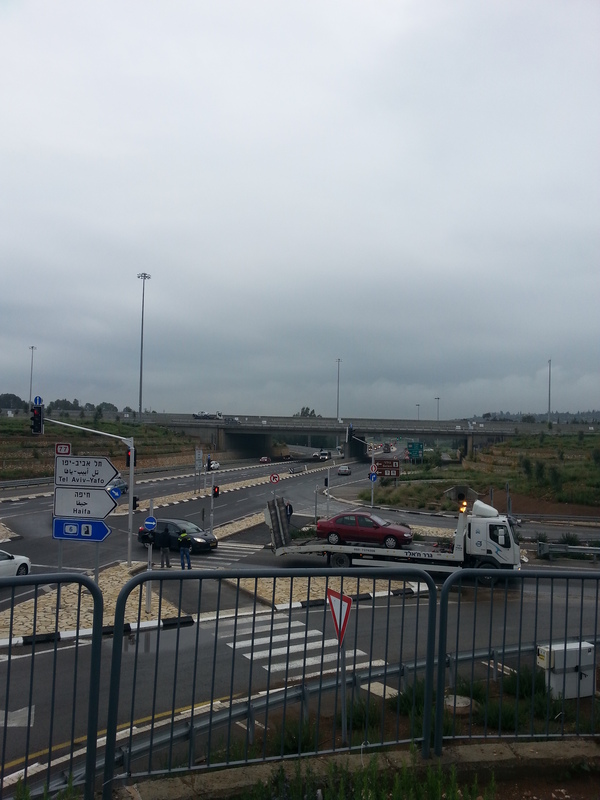 I wait for it at Golani Junction, a ten minute ride from my house. I climb up the steps and hand the driver my bus pass. “Good morning,” I greet him in Hebrew. He returns the greeting in Hebrew. It’s a sign of co-existence, but we don’t admit to it. The bus lurches forward. I walk down the aisle to find a good seat in the back. I’m the only Jewish passenger on board. Men and women students, all Arab, are either dozing off, or they work their cell phones. The first stop is in the village of Tur’an. I’ve driven past it many times, but never went in. I have no business going there. But that day, the bus leads me deep inside the Arab village. 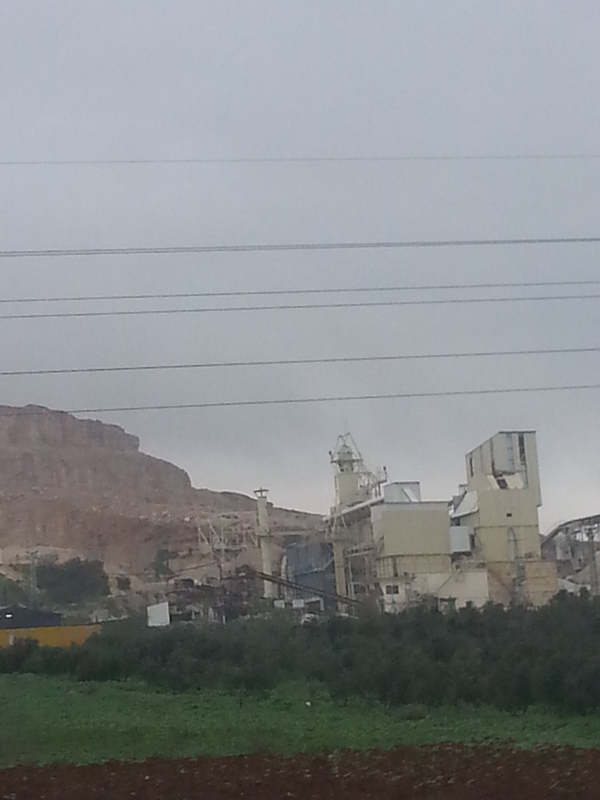 There’s a rock quarry at the rear of the village. It looks like someone had punched a giant hole in the hillside, scarring it forever. Next, the bus goes past an automobile junkyard. Dozens of trucks of every type, flatbed, concrete mixers, are parked in open spaces, waiting for an order to haul dirt, rocks. The homes are mostly two to three stories high; they house the extended families of the Arabs. The homes are covered in marble tile, overly ornate. No dogs anywhere. Rows of olive trees sprout between houses. Grocery stores, computer repair shops– the signs are mostly in Arabic. The bus stops. More students board. It gets back on the road to another village. On the radio, Arabic music is playing. 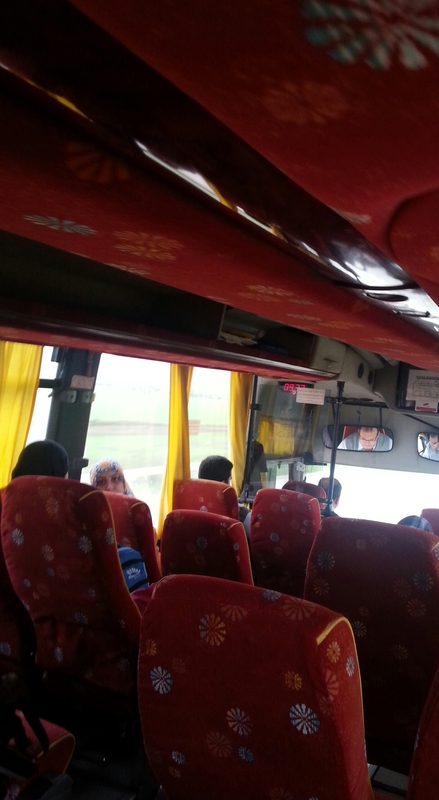 The strumming of the oud strings fill the bus. I get into the groove. I would have preferred songs by Arik Einstein, Eric Clapton, or The Doors, but it is what it is. I lean my head on the glass and look onto the open highway. The one hour and fifteen minute ride ends at the top of Mount Carmel. A bus for Arabs, a bus for Jews. 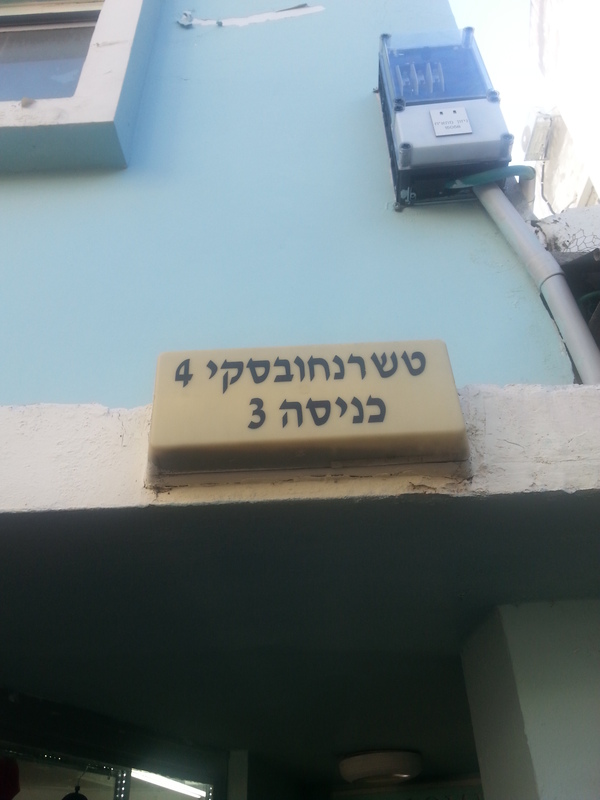 A village for Jews, a village for Arabs. We travel in parallel universes. It’s the final stop. We all get off; students scatter in all directions of the campus. I go through a security check at the main entrance, from there I head to class. I take a seat next to an Arab student. “Good morning,” I say, in English. “Good morning,” he replies, in English. If life were only this simple in the Holy Land.